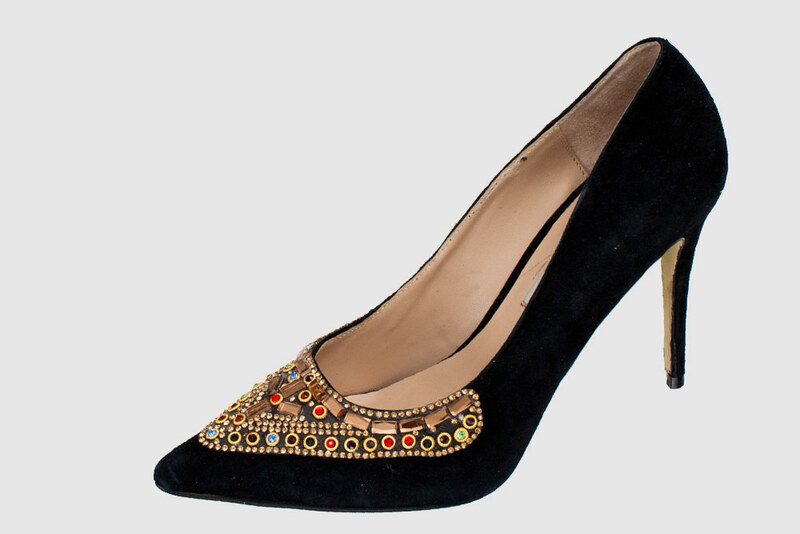 Glitzy jeweled embellishments steal the show. 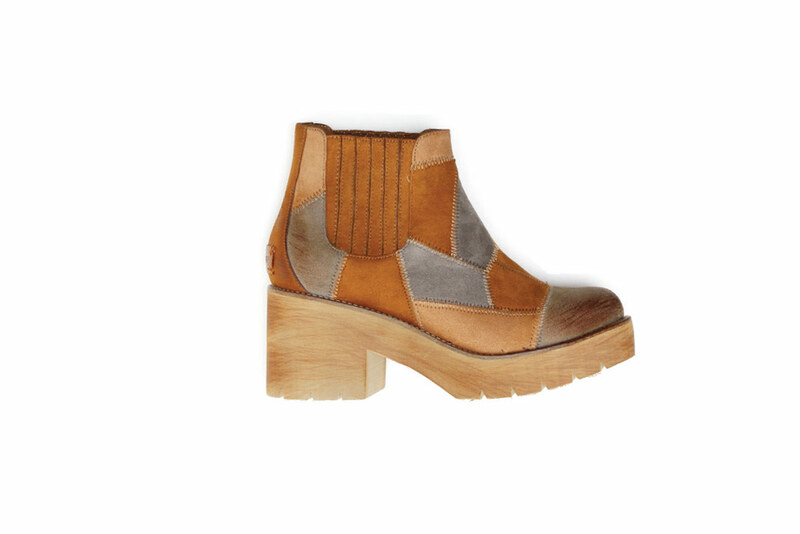 Boho meets Soho in chic suede patchwork booties. 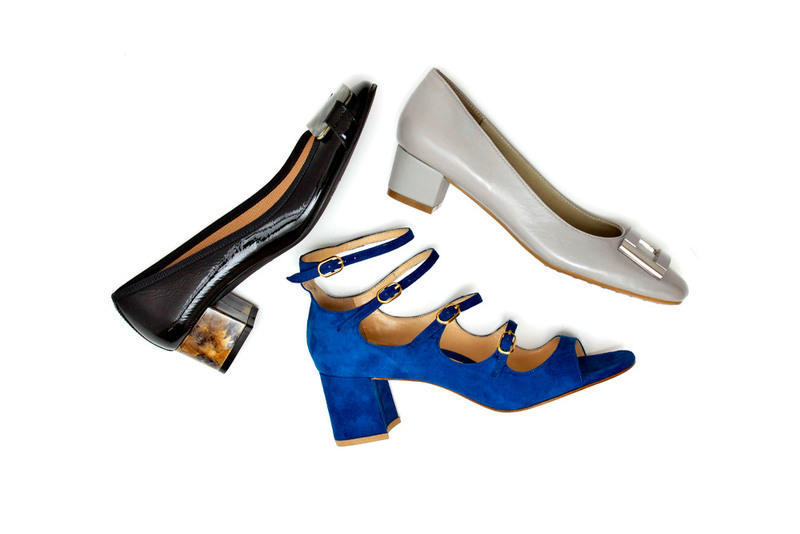 Trade towering stilettos for ladylike (and comfy) square heels. 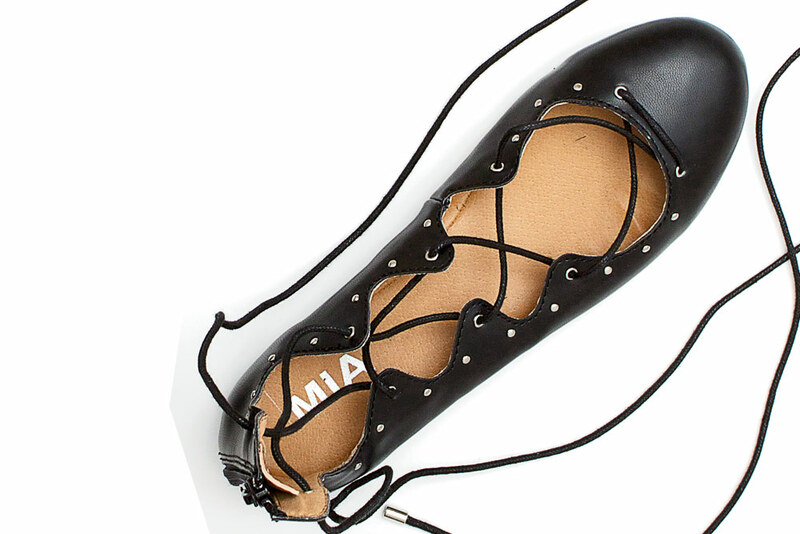 Ballet flats receive an elegant update with strappy, tie-up laces. 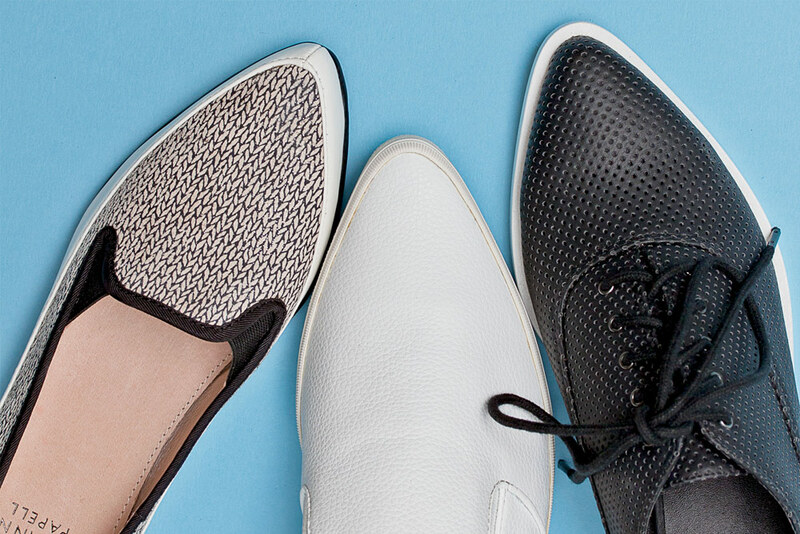 Sneakers skip the gym with pointed toes and luxe materials. 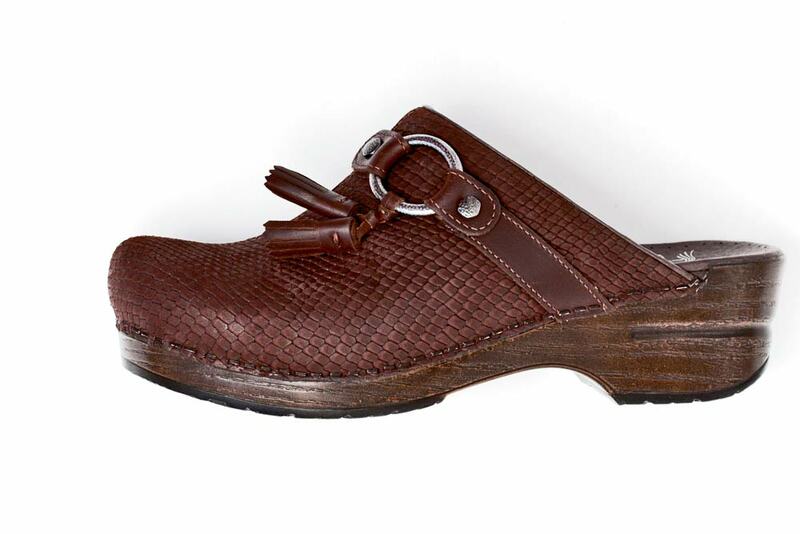 Moroccan, monochromatic or minimalist, skimmy mules up the elegance quotient of breezy summer ensembles. 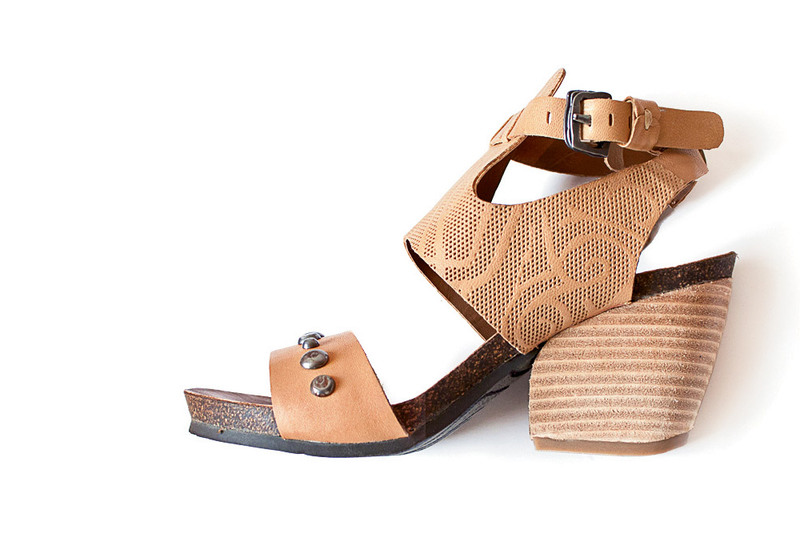 Stacked wood heels reflect a more refined ’70s-era aesthetic. 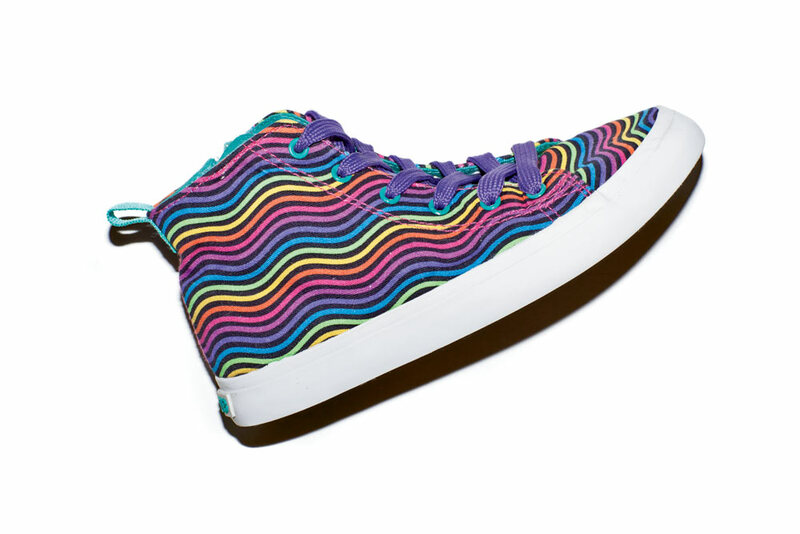 A rainbow of candy hues for little sweeties. The upper crust detail adds preppy panache to basics.